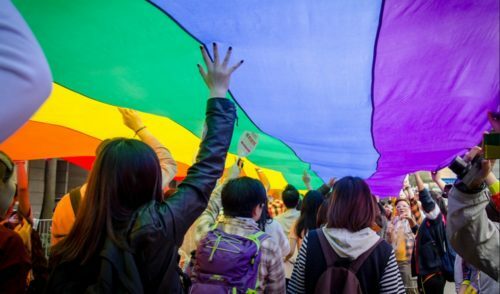 A performer at Hong Kong Pride was arrested for public indecency when he stripped down to his underwear. The 21-year-old was wearing only his underwear and a red rope around his waist while in the part of the street that was cordoned off for the pride march. A man who filmed the arrest said that the men was a performance artist. “[He] exposed his private part in view of [the] public,” a police officer told Hong Kong Free Press, adding that he had already been released on bail. If convicted, he faces a fine of up to HK$6,000 (US$766) and 6 months in jail. Organizers estimate that 12,000 people attended the pride festivities, while police say the number was around 4200.